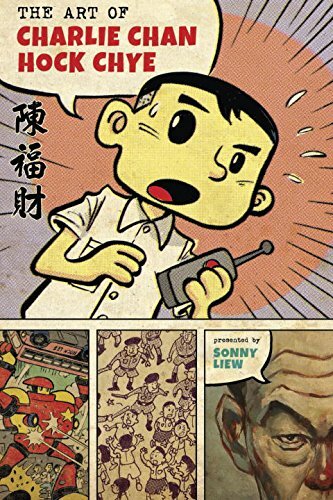 “The Art of Charlie Chan Hock Chye” by Sonny Liew is a strange book -- in a great way. It intertwines the history of modern Singapore and the protagonist - Charlie Chan Hock Chye, self-proclaimed Singapore’s greatest comic artist. Charlie Chan Hock Chye is an aspiring comic artist born during the tumultuous years of Singapore and pursued singularly his passion for the comic art form. But Charlie Chan is a fictional character created by Sonny Liew. He expertly presents an unadulterated story of Singapore, through the eyes of Charlie Chan. The comic book is brilliant on many levels as Sonny Liew brings out the best of comic storytelling and the visual art form that is uniquely to comic. Charlie Chan is an interesting character, especially his political sensitivities on Singapore’s politics. And being a comic artist, what better way for him to express himself but through his comics. The graphic novel also gives Sonny Liew the opportunity to show his repertoire of various art style. In Singapore context, this book may come across as a plate of Rojak (Rojak is a traditional fruit and vegetable salad dish commonly found in Singapore. The term "Rojak" is Malay for mixture. ), but it’s one of the best Rojak here. Definitely a book worth getting, especially if you are interested in Singapore’s history and politics. Highly recommended. The graphic novel is published by Epigram Books and for international readers, the book will be published by Pantheon Books in 2016, with a French and Italian editions out around the same time.